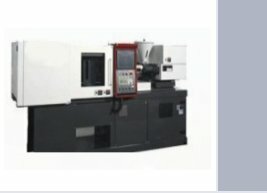 Hansen Plastic Machinery Sales represents many leading brands of injection molding and auxilary equipment. Our mission is to provide our customers with the newest technology, equipment, service and training. Charlie Hansen has been actively involved in the plastics industry for well over 35 years. His experience greatly varies in the areas of processing, sales, and service, as well as educating others on the instruction of both basic and advanced injection molding. Additionally, he has held various technical and management positions through out the plastics industry, thus leading to the start up of Hansen Plastic Machinery Sales in the mid 1990's to better serve the plastics industry through his vast knowledge and expertise on a more personal and professional basis.